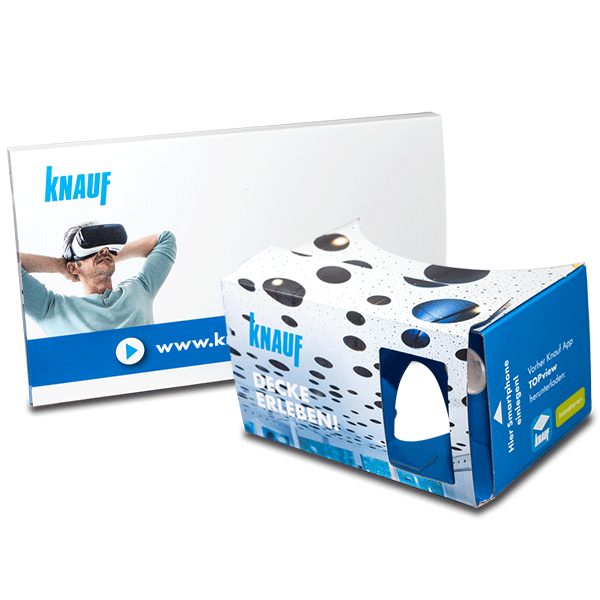 Our customer Knauf used their branded Google Cardboard to virtually show their customers how the ceiling of a room impacts the acoustics of a room. See and listen to the difference of various room situations (restaurant, office, classroom) and ultimately the impact of different Knauf ceiling systems. 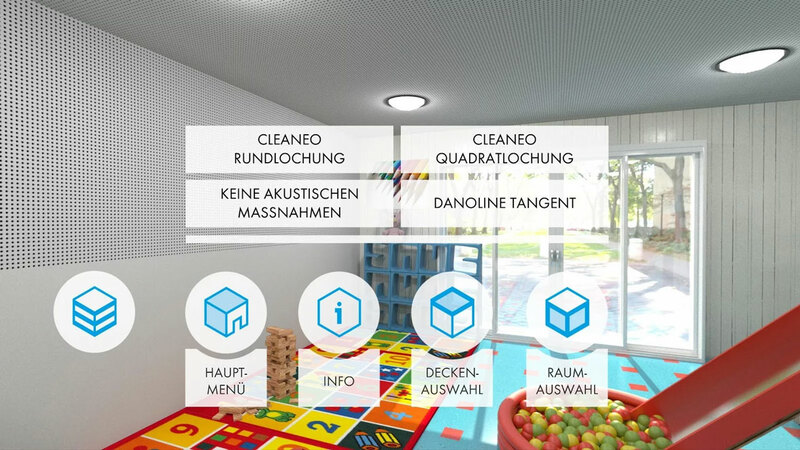 The app shows the potential for virtual reality and branded Google Cardboards for the industrial Mittelstand. Knauf is well known for drywall gypsum boards and producer of building materials and construction systems comprising construction materials. 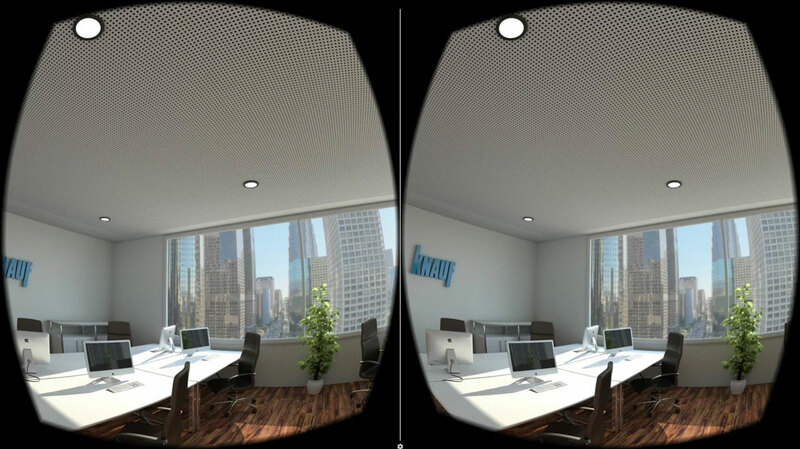 With the new Virtual Reality App Knauf TOPview you can look around in different rooms, experience and perceive the visual effect of acoustic ceilings and discover how the perception of space is improved considerably, e.g. by the installation of perforated ceilings. …become comprehensible as they can be experienced directly. Simply download the App, insert your Smartphone into a Google Cardboard viewer and you are ready to go. No glasses to hand? No problem! You can use the App without glasses too. Just select the Display mode.